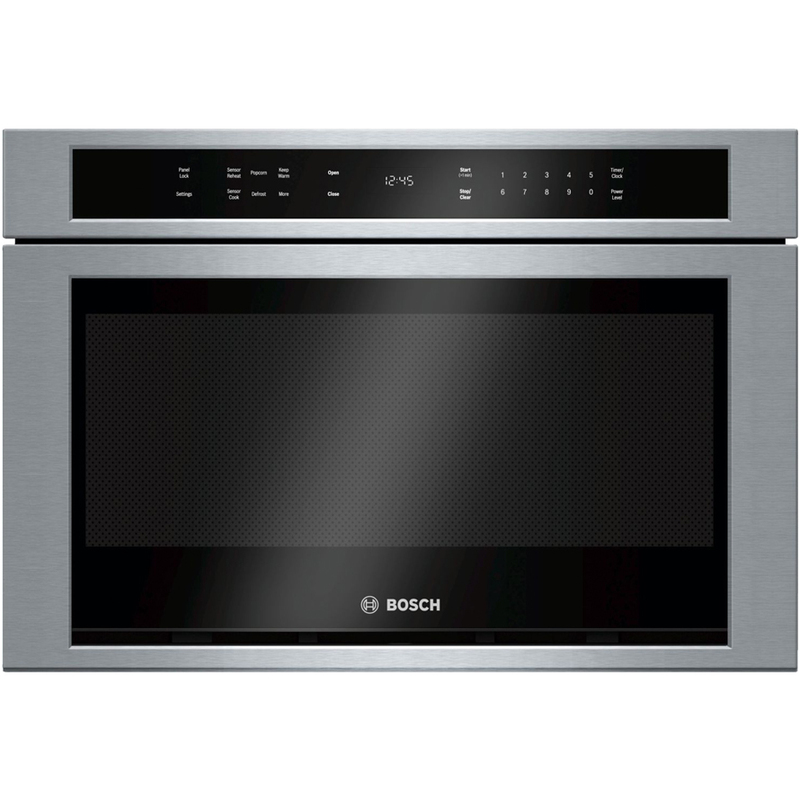 Bosch Microwaves offer spacious cooking interiors and sleek designs. Convenient automatic sensor programs simplify cooking for perfect results. 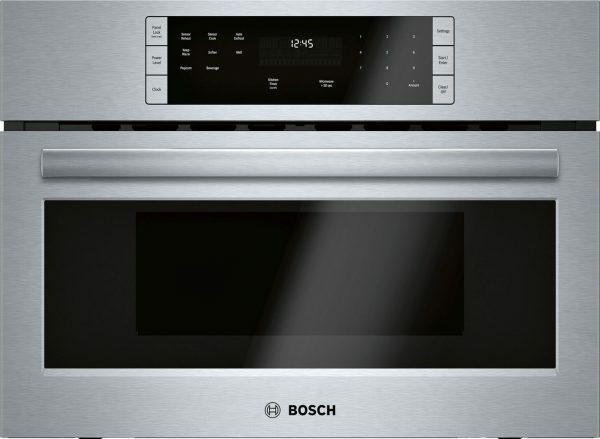 Available in 24″, 27″, and 30″. 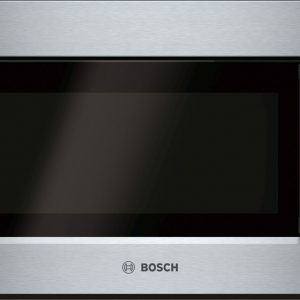 The drawer microwave opens and closes with the push of a button. It’s a great option when installed undercounter in an island, freeing up space elsewhere in the kitchen. Built-in microwaves are designed to match your Bosch wall oven perfectly. These beauties are built for speed and convenience with 1200 watts of microwave cooking power. 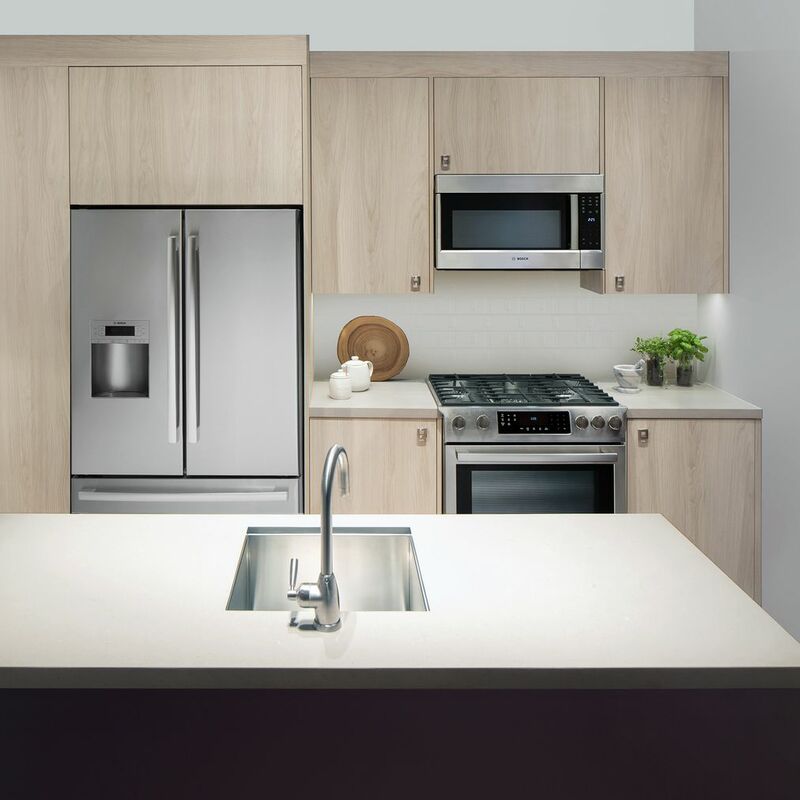 A spacious 2.1 cu. ft. interior and convenient automatic sensor programs simplify cooking for great results every time. 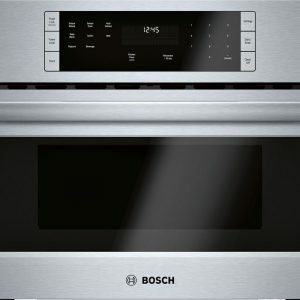 The Bosch drawer microwave installs cleanly under counters, cooktops, and flush to cabinets, making it a perfect solution for any designer kitchen. 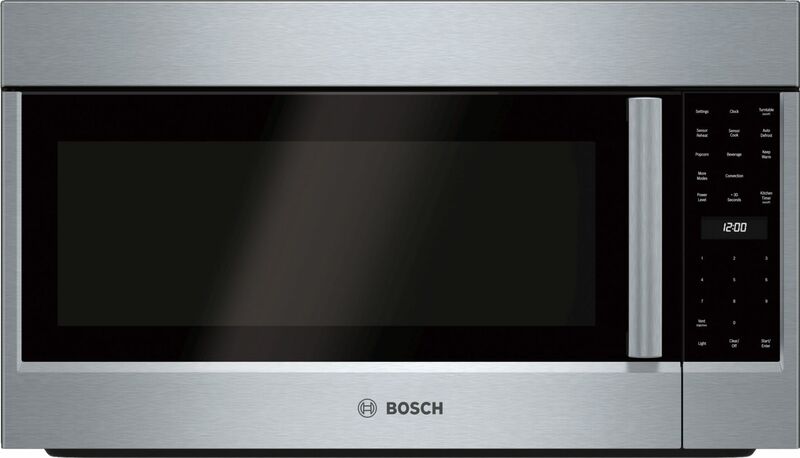 The drawer microwave opens and closes with a push of a button and is large enough to fit a 9″ x 13″ baking dish.